If you are a scientist working with human samples, you may have come across “HeLa,” an immortal cell line most commonly used by research scientists. 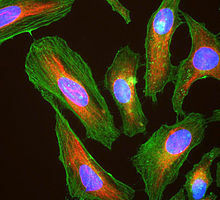 HeLa cells have been instrumental in biomedical research and advancement, enabling scientists to study poisons, viruses, hormones, cloning, gene mapping, vaccines (i.e. polio, HPV), etc. The original cells were taken from Henrietta Lacks’ cervix. More on this later. First, let’s learn about Henrietta Lacks. Henrietta Lacks was a descendant of freed slaves and worked as a tobacco farmer. She was also a mother of five children. In 1951, she went to one of the few hospitals that treated poor African Americans: The Johns Hopkins Hospital. She had an appointment with gynecologist Dr. Howard Jones. She was diagnosed with a malignant type of cervical cancer and was undergoing radiation treatment. At one of her appointments, Dr. Lawrence Wharton Jr. (surgeon) shaved off some tissue from Henrietta’s cervix and sent it to the lab. The catch? Henrietta Lacks was unconscious and she did not give consent to her tissues to be taken and used for research. About eight months later, Henrietta’s cancer had metastasized throughout her whole body and she died in the hospital. She was 31. Her cancer cells were sent off to Dr. George Gey’s lab where they were studying cancer cells collected from patients at The Johns Hopkins Hospital. To the scientists’ surprise, Henrietta Lacks’ cells were surviving and multiplying rapidly. This was absolutely exciting news for Dr. Gey and other scientists because every other sample that they had been working on would die, making it hard to continue their research. But with Henrietta’s cells, this opened up a whole new world of possibilities. Since then, Henrietta’s cells “HeLa” has been sold and sent to hundreds and labs and used in countless research projects. There are scientists who even won the Nobel Prize from using HeLa cells, like Zur Hausen who used HeLa to develop the HPV vaccine. Henrietta died not knowing how her cells were pivotal in advancing scientific research, but what about her family? Her family remained unaware until 25 years later (1976) when researchers from Johns Hopkins sought out her descendants to do more research. When someone from the National Cancer Institute reached out using Henrietta Lacks’ name, the family was confused. How was this possible? How did they obtain her cells? How could they have not known about this for 25 years? Did they kill her? What happened? Some of her family members gave their blood under the assumption that they were being tested for cancer. But, what scientists wanted was to find out whether HeLa cells were contaminating other cultures so they sought out Henrietta’s descendants to do more testing. HeLa has certainly served the global community in many ways and continues to do so. However, few know about the history of HeLa cells and the controversy behind these immortal cells is far from over. For one, Henrietta Lacks and her family members remained in the dark despite the grand impact of HeLa cells. The issue of informed consent was not completely established during her time, but does this excuse researchers’ lack of action in reaching out to her family members? Some say yes, some disagree. Dr. Gey did not receive any compensation for these cells, but HeLa cells have largely been commercialized. Since 2001, five Nobel Peace Prize winners’ works can be attributed to HeLa cells. Upon discovering the vast impact and reputation of HeLa cells, her family members have demanded compensation for Henrietta’s contribution to science and ethical dilemmas continue to ensue. Some scientists say that HeLa cells were nothing more than a biological accident. Others say that given the historical context, the lack of informed consent was wrong but the ultimate contribution to science evens things out. However, some posit that the story of Henrietta Lacks brings to light larger issues within biomedical research that uses human samples. Historically, minority populations have continued to be used as science experiments. 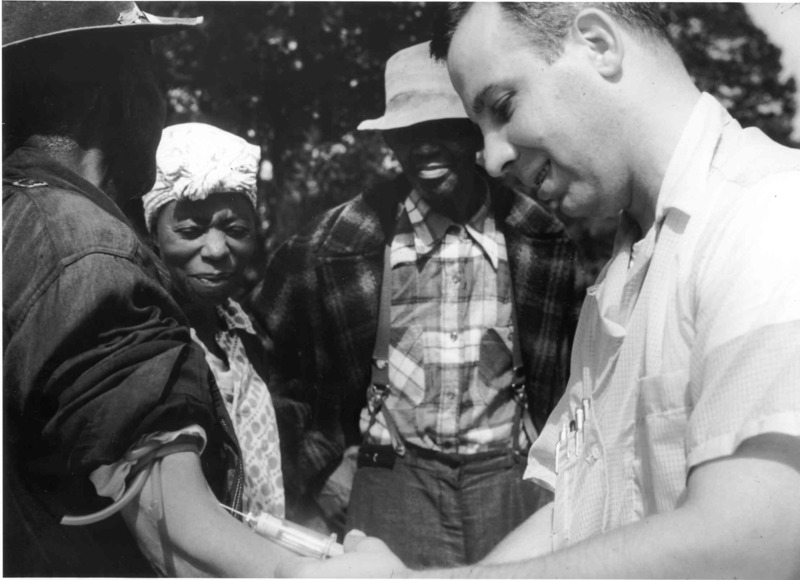 Examples include the U.S. Public Health Service’s Tuskegee syphilis study from 1932-1972, Saul Krugman hepatitis study at Willowbrook State School, and Canada’s testing of the TB vaccine on nearly 600 Native children living on reserves…just to name a few. There are systems in place to make research more ethical. When dealing with human subjects the Institutional Review Board (IRB) is responsible for making sure that all steps of the project is done ethically. However, the question of what constitutes ethical and how we can reconcile cases like Henrietta Lacks remain. One thing is for sure though, all of us have probably benefitted from Henrietta Lacks’ cells in one way or another. If you are a scientists who has worked with HeLa cells, perhaps this gives you newfound appreciation for her contribution to science. Though ridden with ethical violations, the first step is to acknowledge these violations and not take HeLa for granted. The Miracle Woman By Rebecca Skloot From the February 2010 issue of O, The Oprah Magazine. Adapted from The Immortal Life of Henrietta Lacks. Copyright © 2010 by Rebecca Skloot. Published by Crown Publishers, a division of Random House, Inc.
More on Henrietta Lacks can be found in Rebecca Skloot’s book, The Immortal Life of Henrietta Lacks.